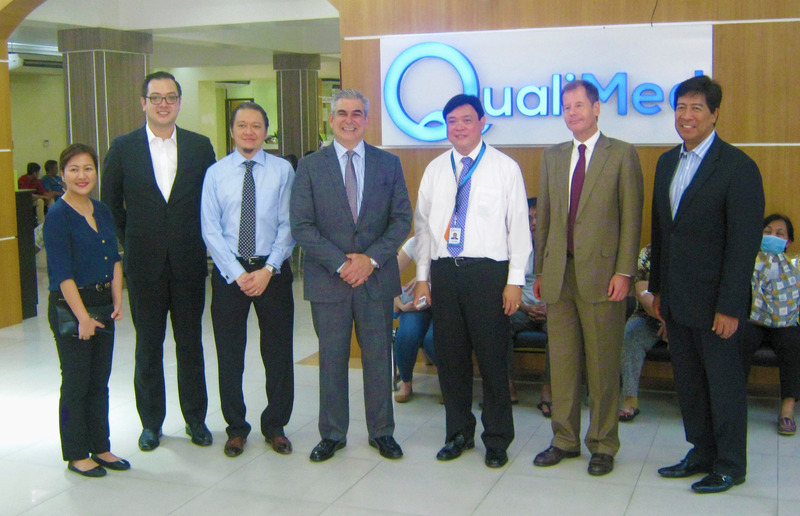 March 17, 2014 – Ayala Corporation Chairman and CEO Jaime Augusto Zobel de Ayala, together with Ayala Group key persons and partner companies from the medical and healthcare industry, visited QualiMed Manila to explore further partnership options with Mercado General Hospital, Inc. (MGHI), the majority owner and operator of the QualiMed Health Network. QualiMed Manila, formerly the University Physicians Medical Center, is part of the network of healthcare facilities – multi-specialty clinics, ambulatory or day surgery centers, and full-service hospitals – that have been established in partnership with Ayala Land, Inc. (ALI), a subsidiary of Ayala Corporation. The QualiMed Clinic in TriNoma, the first mall-based clinic under the partnership, opened last February 19.